I do hope you can help me, last weeknd I acquired a fish tank and full setup from a friend, Free of Charge I must add, he also gave me his Fish along with a bag full of other goodies. It’s a 4ft x 15” x 17” tank and has a submerged filter\pump system also a TetraTec APS400 which sounds faulty, its making a right racket and also randomly decides to cut off (will be going to find a replacement later on today. He also gave me a bucket load of treatments and a full PH testing kit. 1) What fish do I have! Lol? I know I have a pair of Cichlids, I bought a Tetra Neon / Neon Tetra just to see what the score would be, it seems @ £1.99 it is dear fish food. 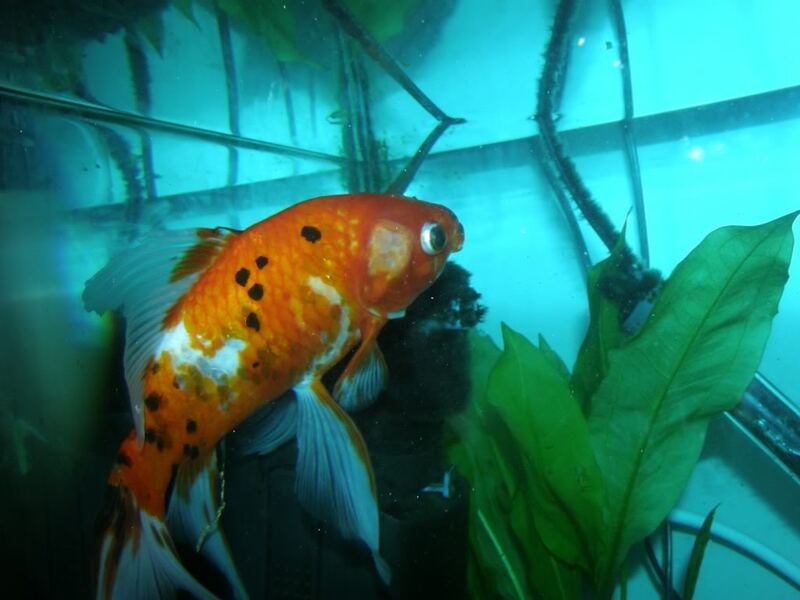 2) My Fantail has some sort of fungal growth around its eyes and some lumps on its upper side, any ideas? 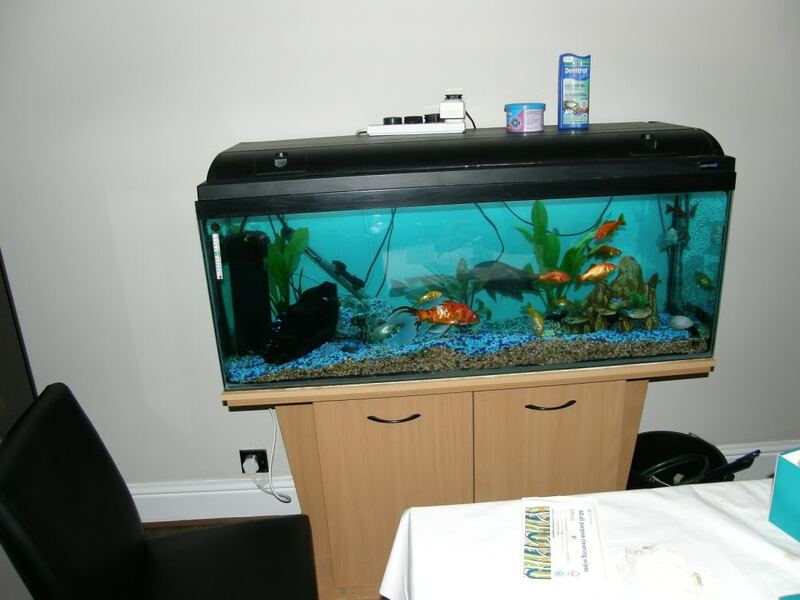 3) When I was given the tank, we carried it down the road and replaced the water with tap water, we added the correct amount Tetra Safe water and the aquatic centre, The Abyss, Sold me some Bacteria treatment @ £22 :O . How long should I let the tank rest before I can give it the all clear? 4) I added 3 Plants to the tank as can be seen, should I position them different? Do I need to feed them? 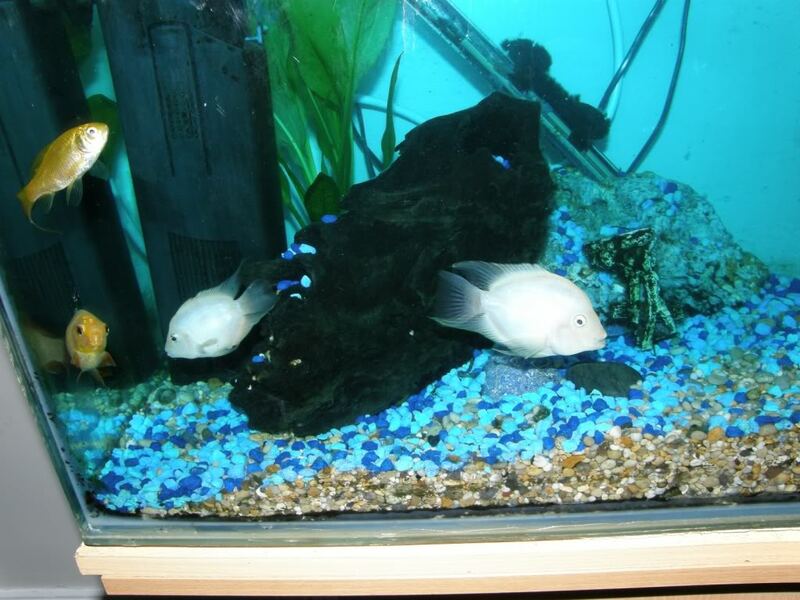 5) What should I do RE the Cichlids, give them away? To make room for some smaller Fish? What are they worth at this size? 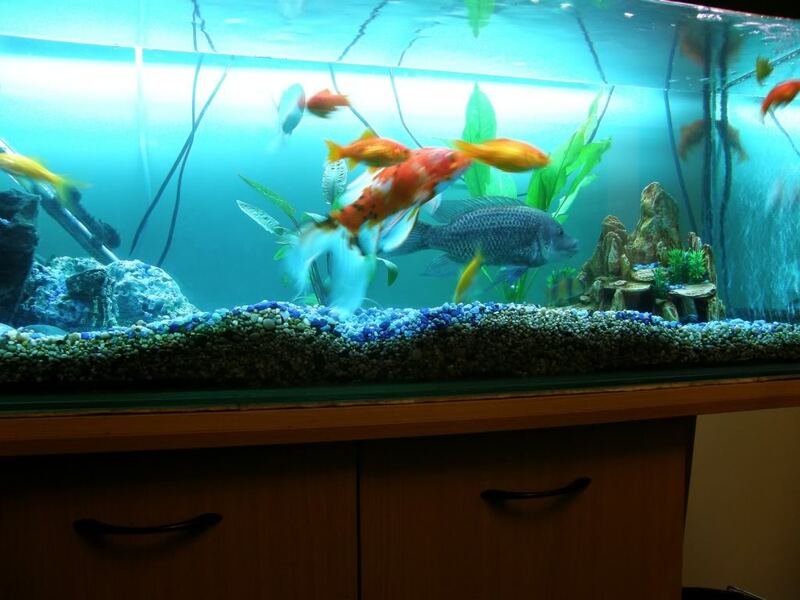 6) I would REALLLLLLY like to go down the Marine route but I need to know we have it in us to keep fish etc, am I right in thinking that we can keep a freshwater tank as colorful as a marine tank? With the likes of neon’s etc? 7) Any other tips and advice is more than welcome and I look forward to your replies. 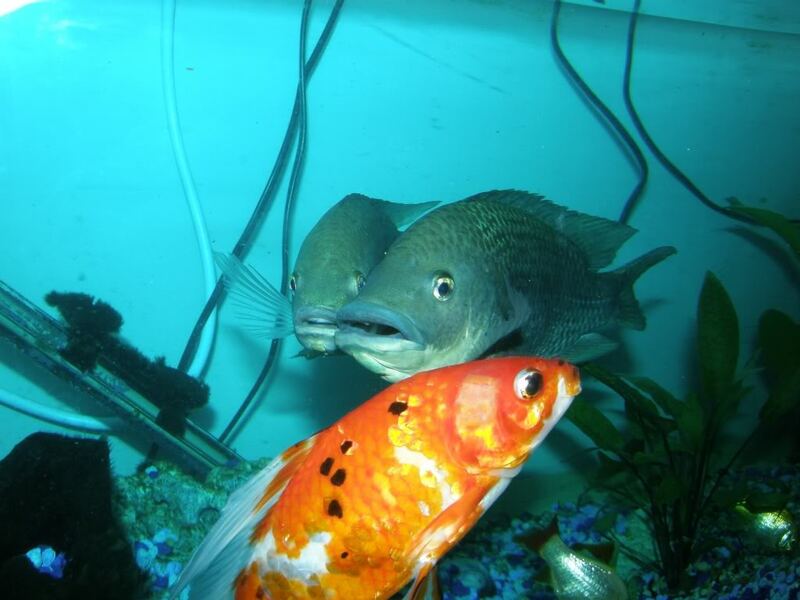 8) The Two Larger fish, i think i have identified them as Mumbai Mouth Bruders? 9) I have added a small 3" Plec which seems to be doing nothing yet, are they active? 10) I have added a small Red Tail Shark, 2.5" for the first 48 hours he was very weary of the new tank and his tank mates, he would hide in a cave and only come out to small tapping on the tank, Now he seems to be chasing the Gold fish and pecking at the poor Fantail's Fungal infection, is there anything i can do? I will try to answer what I can of the questions you asked. But first a few comments. DO NOT add any more fish to this set up. You already have a sick fish which could be a spreadable disease, and I am sure the move was a stress as well. Second, without knowing what fish you have, you should not be adding others that might be incompatible. A perfect example is adding a red tail shark to a tank with goldfish, ...another would be adding neon tetra which prefer warm water while goldfish prefer cool water. 1) It looks like you have quite a few fish in the tank already and so you would need to tank individual or closer group pictures for us to help you identify them all. I would do this before you add any other fish to your setup. 2) I can not tell from the picture of the fantail about the fungus, but I would isolate it and put it in quarantine and treat it with melafix or pimafix. 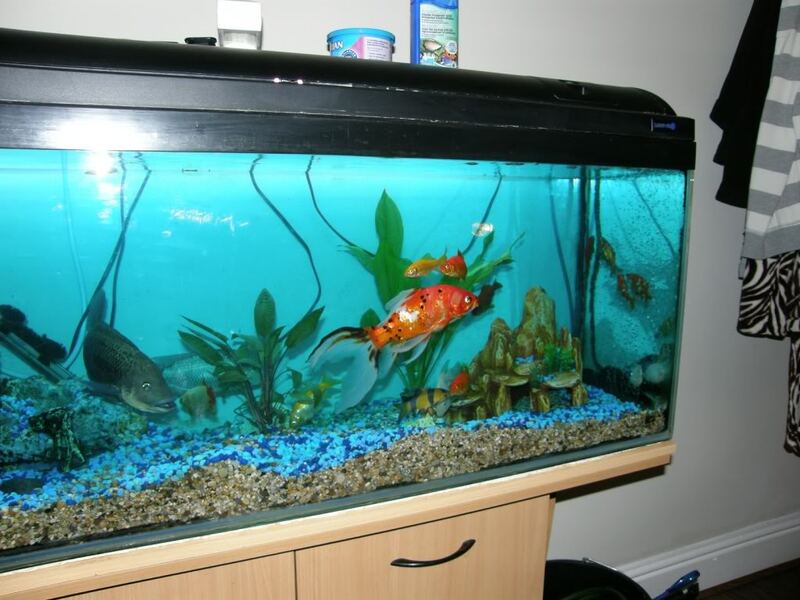 Given the size of your tank, it would be impractical and a bit unnecessary to treat the whole tank unless there are other signs that the fungus is affecting the other fish. 3) If you dechlorinated the water, the water is chlorine/chloramine safe, but you will need to use the testkit to check the parameters of the water. Post the result for us to give you advice. 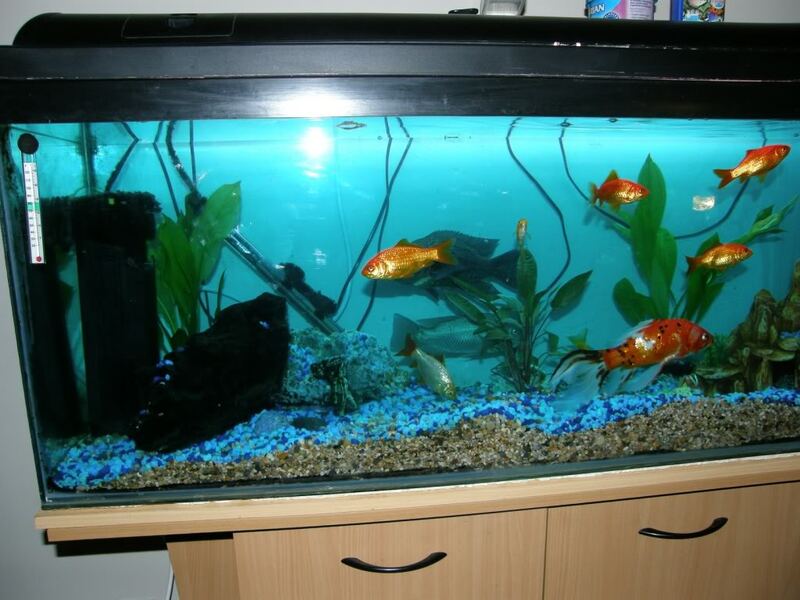 A few questions though: did you keep the gravel and filter from the previous set up? Did you clean either in any way? 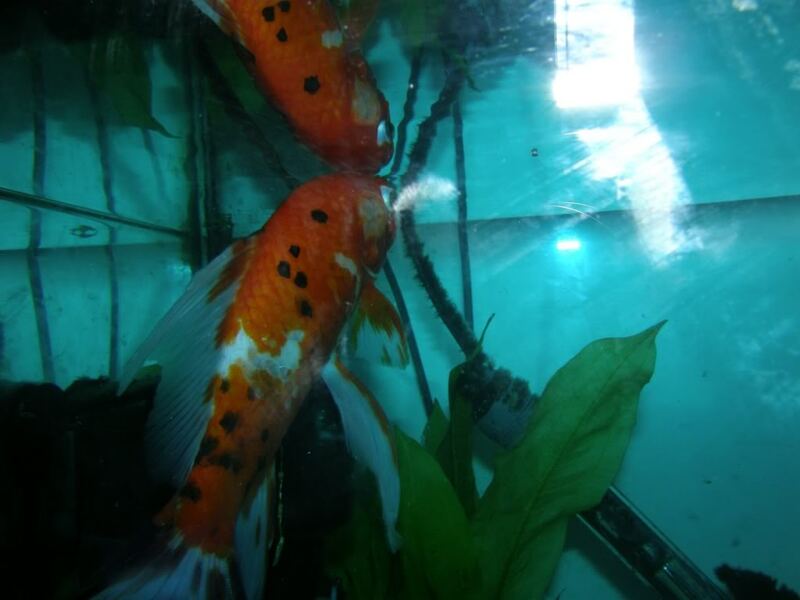 It is important to keep the biological filtration, the useful nitrifying bacterial colony, intact with a tank of that size housing so many fish. My hope is that you just added water and let it go. 4) The plants look nice. Do you know what they are? do you know what type of lighting you have on this setup? It looks a bit dark. 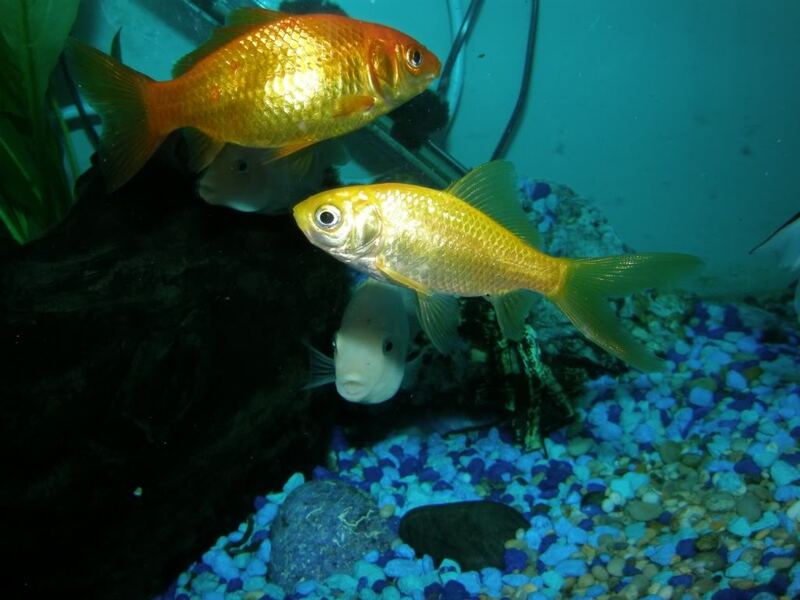 5) Depending on the cichlids, I would guess they will eat your new plants, should not be in a tank with goldfish or a red tail shark, and should be kept only with other cichlids. 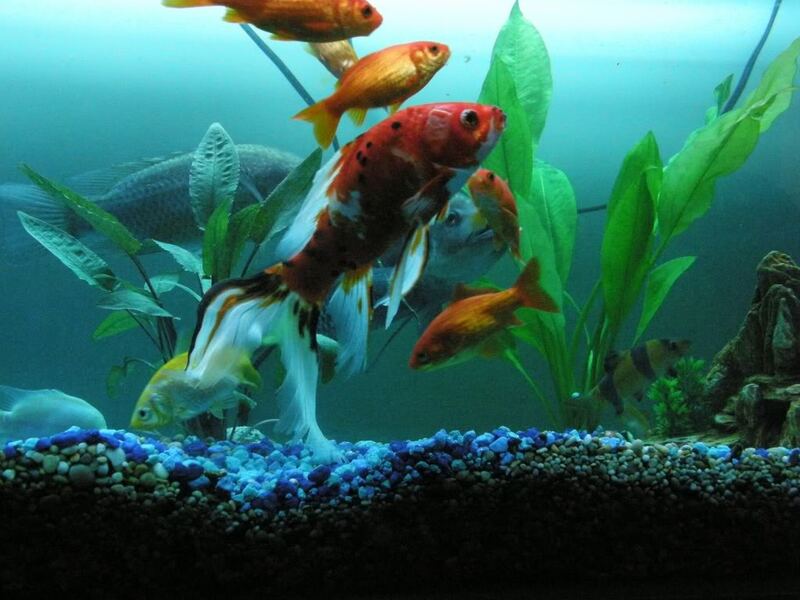 You should get some good pictures of them and ask the cichlid experts on this forum for advice. 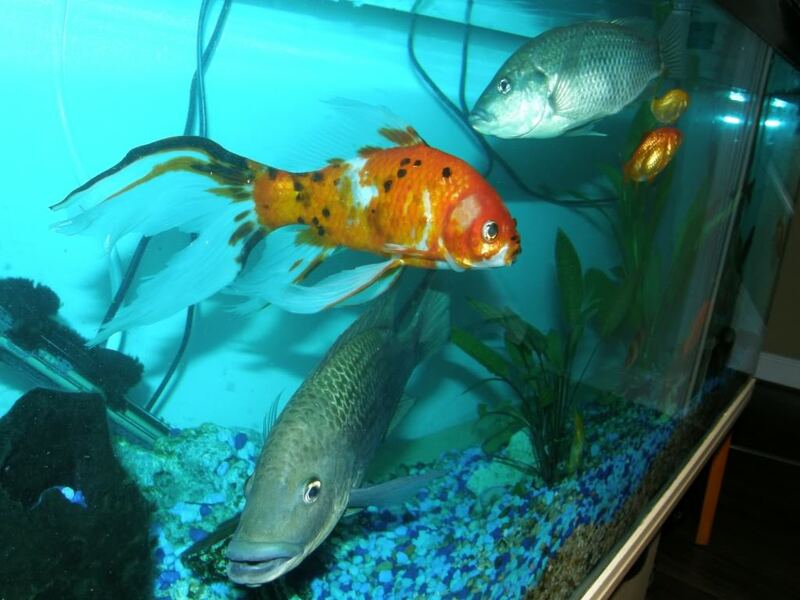 You may be able to trade them at your LFS for other fish or sell them on craigslist in your area. 8) Test your water, test your water test your water. Remove the shark and return the tetras until you decide what setup you really want. 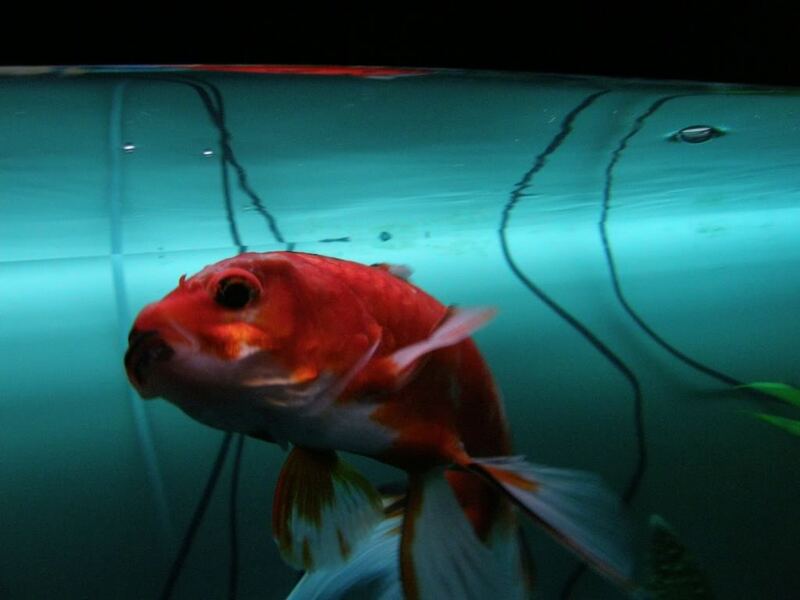 You may even eventually decide not to have a goldfish tank. Just decide what you would ideally want before adding anything else to the tank. And make sure your water is safe. 9) What type of pleco did you add? Check fish compatibility before adding! 10) Check fish compatibility before adding. I keep getting messages about my post will not be visible until a mod has approved it, how long will this last? Ok, i have just been home to find my Fantail has nearly lost its eye, he has a fungal infection around the upper area of his eye and i caught Mr Shark chasing him and then pecking at this soft area, it seems the shark has carried this out throughout the morning and has taken away a lot of the soft tissue around the fan tails eye, leaving a fair old wound. I have a small which i have been using to store some plants in, i have removed the shark from the main tank and placed him in the smaller tank for now, the smaller tank has no pump or filter but the water within was taken from the main tank, i do however have an Airpump in the smaller tank to produce bubbles. Any advice on this issue would be more than welcomed. I am unable to Edit my posts aswell, so, i am sorry for a tripple post. The above results were Prior to a 10% Water change, i syponed approx 10% of tank water to try and clear some of the floating crap and provide a smaller tank with water, i am trying to grow my own plants. The media was taken out of the filter but cleaned only one side of this was cleaned and that was done so in the tank water. Everything is the same as it was when at my friends minus the change of water and my added plants + 2 fish. The gravel is the same and has not been cleaned. 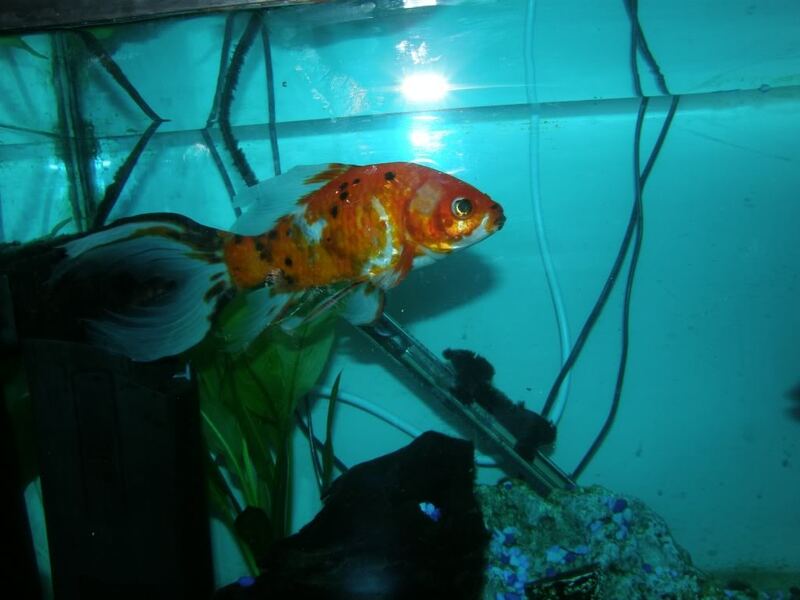 The goldfish are going to be taken out, i have no idea why my bud wanted to keep gold fish in a tropical tank, a little crazy. I think the need for the mods to approve your posts goes away after ten posts or so. We've had some spammer problems here in the past. Both your ammonia and nitrate levels are high. Try upping your water changes to 30-50%. 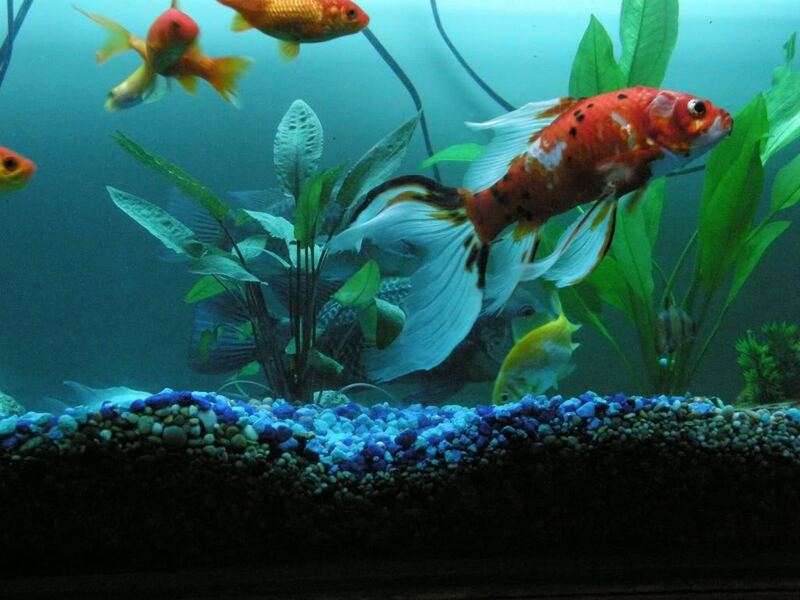 You've got a lot of messy fish in that tank, so you'll need to keep up on the maintenance. If you're planning on replacing the filter, keep the old filter running on the tank and buy a filter rated for roughly twice the volume of your tank. Manufacturers overrate their filters a bit. Keeping the old filter on the tank or placing the old media in the new filter will prevent your tank from having to cycle anew. The shark in the smaller tank will need a filter of some kind. Check out sponge filters. They're cheap and easy to use. You'll have to monitor the little tank's water too as it will cycle. I am not going to keep the shark in the small tank, i will either re-home or re-turn him. The water i was told to leave for a fortnight, i will look at doing a 50% Cycle tonight, and ill look at getting rid of the gold fish as well. You can leave the water alone for two weeks if you're doing a fishless cycle or if you have a well-established, well-setup tank. I've got a heavily-stocked 29g with a AquaClear 70 filter (rated up to 70g). I can go two weeks on that tank without doing water changes if I have to, but I really prefer to do weekly water changes or my nitrates start creeping up near the 20ppm mark, which is the maximum level I want to see in my tanks. If you're still seeing ammonia, the tank is either underfiltered or still cycling. In this case, you should probably be doing daily PWCs.